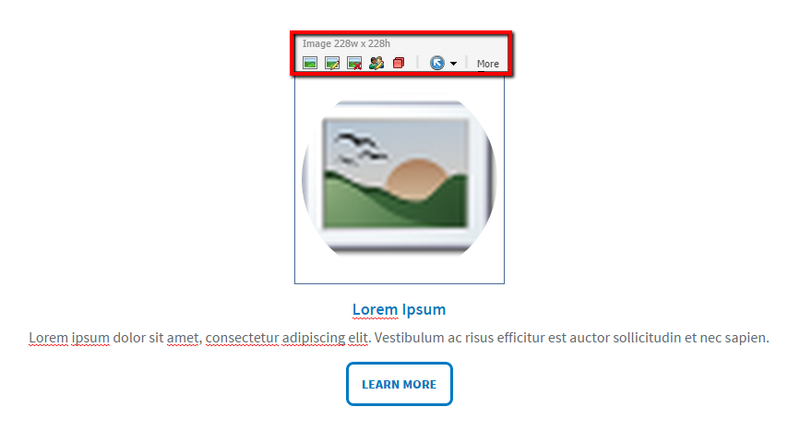 In this post, I will describe how you can add help text to improve your client’s page editor experience. Please note that this can be extended to include more than just fields, but my examples will focus on fields. First let me describe how you can define the help text that will be pulled in by the pipeline processor I will be creating. Above I have a generic content pod. This template (below) consists of an image, a subheading, some rich text and a link. In order to set the help text for a specific field on our template, I will utilize the parameters field on the content pod rendering. I’ve made the decision to create the keys in the format of [FieldDisplayName]_HelpText. 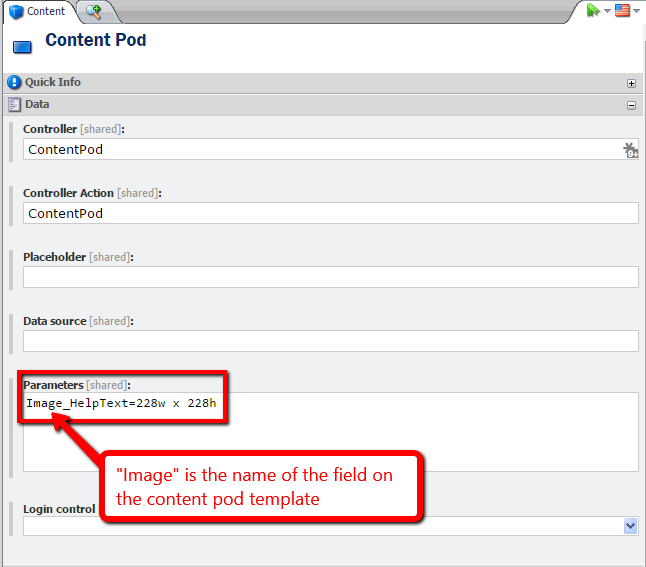 For example, if I want to set the help text for the image field on my content pod I would do so like below. Likewise if I wanted to also set the help text for my rich text field (named “Copy”) then I would add another parameter with a key of “Copy_HelpText”. Now that I have established how the help text will be set, I’ll demonstrate how to pull that into the page editor. The work of pulling in our help text will need to be done in the getChromeData pipeline. The processor is shown below. If you’re interested, an overview of this pipeline and other important ones can be found here. Now that I have a pipeline processor to pull in my help text, I need to add it to the getChromeData pipeline. See config file below. You can now add help text to fields on your renderings. Don’t worry, your content authors will thank you later! 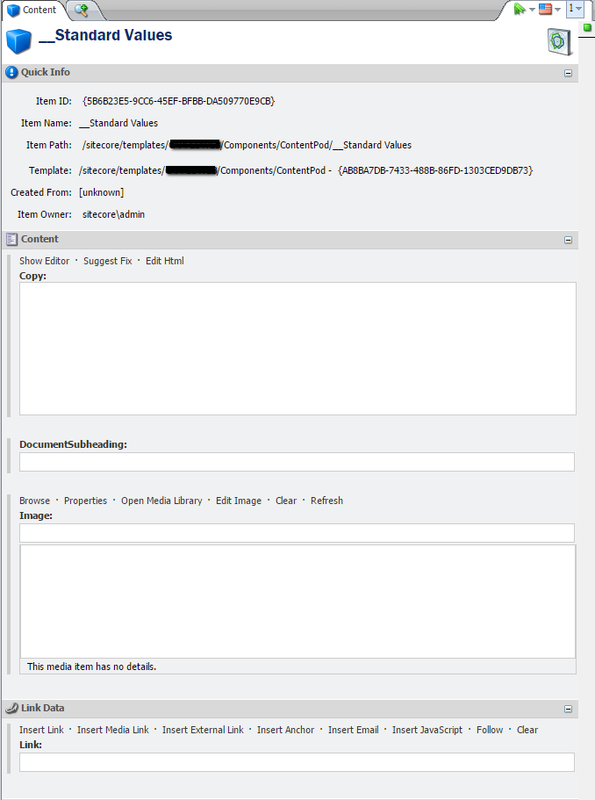 This entry was posted in MVC, Page Editor, Sitecore and tagged Help Text, MVC, Page Editor, Sitecore. Bookmark the permalink.